It’s all go right now in the world of Windows Phone and Xbox 360, and Microsoft’s announcements just keep on coming. 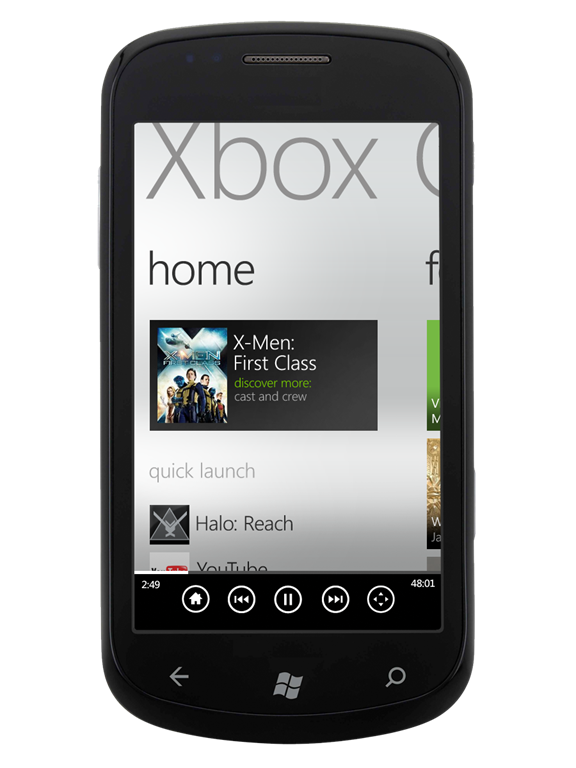 The latest news to come out of one of the many, many Microsoft blogs shows off some of the new integration between the Xbox 360 and Microsoft’s somewhat ailing Windows Phone 7. Microsoft’s Companion app for the Xbox is shown off in one of Microsoft’s promotional videos, which seeks to inform potential customers of some of the new and improved media features coming to the company’s games console. During the video, one overly-excited movie-watcher uses her Windows Phone 7 smartphone to search for some video content – in this case, one of the awesome Fast & Furious films. The magic comes when she somehow makes the Xbox 360 begin playback of said movie, though there obviously wasn’t any detail given as to how that all actually happened. Was this an Apple-like solution which mimics AirPlay, or is the companion app acting as a glorified remote control for the Xbox 360? Microsoft’s Ben Rudolph has been playing with this app, according to his blog, and he runs us through this little scenario, teasing little tidbits of current features. The Xbox Companion app for Windows Phone 7 will be a free download, but as yet there doesn’t appear to be a release date for either the app or the required Xbox 360 dashboard update.